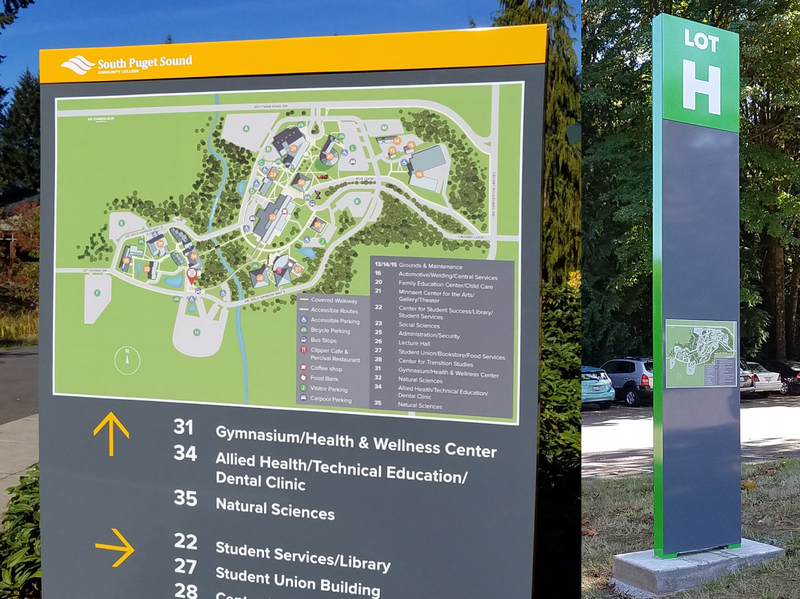 South Puget Sound Community College was doing a total revamp of their wayfinding systems. 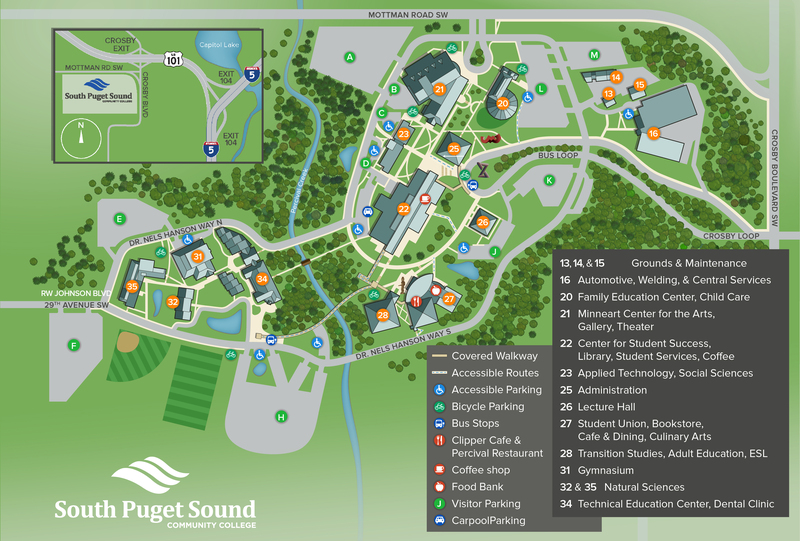 As part of that they wanted new campus maps that would be detailed, clear, accurate — and easily editable by their own in-house design staff, to prepare them for future campus changes. 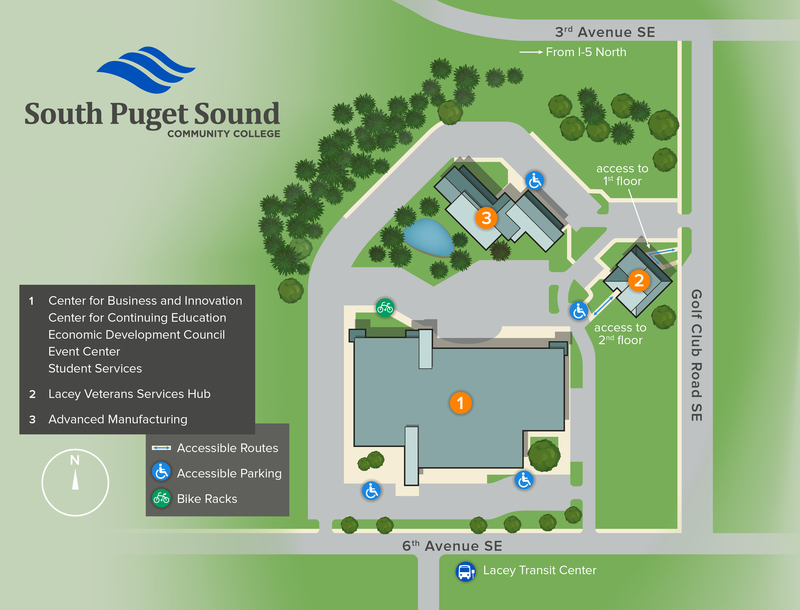 I created maps of both the Olympia and Lacey campuses in full color and in simplified high-contrast black and white for people with vision issues.